We’ve finally gotten a hold of all the updates for the 2015 Chevy Silverado model. The pickup has a tough year ahead of it, competing with the redesigned F-150, but with a myriad of new features and changes, the Silverado stands a fighting chance. 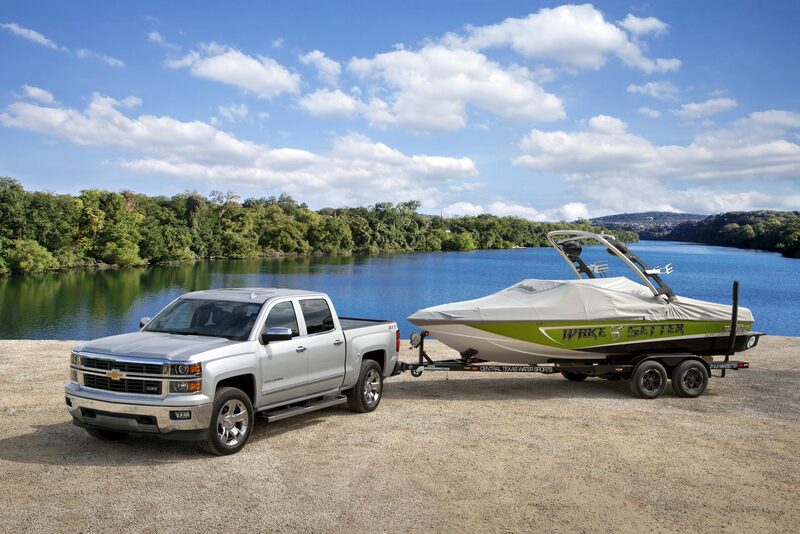 Check out all the new features for the 2015 Silverado below. 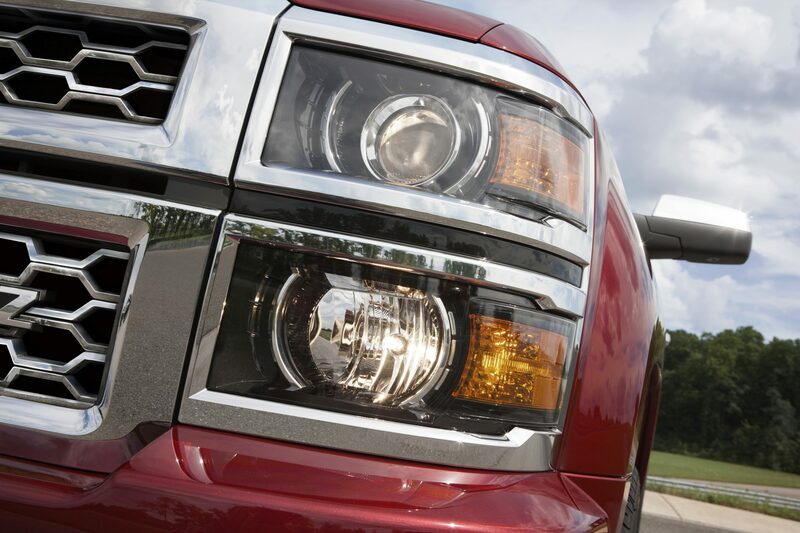 New for the 2015 Chevy Silverado model is OnStar with 4G LTE, which requires a larger antenna than previous models. The antenna will be body color on the 1500 High Country and HD High Country. All other models will have a molded black antenna. Also new are Premium Camper Mirrors with chrome cap and all-new features, including power fold, LED amber running lamps, and an LED back-up lamp. A spray-on bed liner with the Chevy bowtie logo on the front bed wall is now standard on High Country models and available on most other models and cabs. Z71 models get an Off-Road graphic in the Driver Info Center, trucks with the AZ3 bench seat get a USB jack in the glovebox, and the Silverado Rally Edition appearance package is now available. The Silverado also receives two new exterior color options: Deep Ocean Blue Metallic and Rain Forest Green Metallic. For all that the new Silverado is gaining, it loses just two exterior color options: Blue Granite Metallic and Blue Topaz Metallic. We’ll see a number of changes for the 2015 Silverado model as well. For instance, 8-inch radios are now available on the LT Regular Cab models, and the chrome tow hooks are now a factory-installed option for the 1500. Additionally, the Silverado gets body color door handles, mirror caps, and body side moldings on the LT trim, with chrome belt molding on the LTZ and High Country trims. 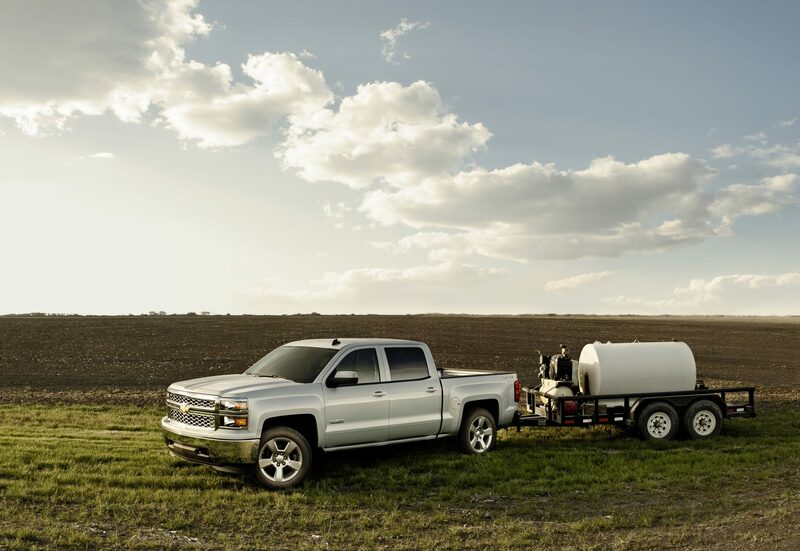 The 2015 Chevy Silverado also gets a rear camera with the Silverado WT Convenience Package and E-85 capability on the 4.3-liter and 5.3-liter engines with RPO (FHS). Further, the 2WT trim is now branded as LS, 17-inch wheels are now standard on the 1LT All Star Edition (with 18”, 20”, and 22” wheels available), and the Z71 grille is painted argent mesh with chrome surround and chrome horizontal bars. The HD radio feature has been removed from all radios, but Hill Start Assist’s hold time has been increased to 3 seconds from 1.5 seconds. Cluster “tick marks” have been changed from white to blue, and a 6.2-liter V8 engine will be available early in the fourth quarter.